This thread is for the discussion and collation of sales data for retro systems. Hopefully we'll eventually have lots of data to fill the first few posts. There was a bit of a debate about Dreamcast shipments here, which reminded me that we had a similar debate here a few months ago. That in turn reminded me that I said I'd start a retro sales thread for those sorts of discussions. So I'll restart the debate here rather than getting further OT in the Nintendo Financials thread. The 8.2M Dreamcast shipment that Sega reported in their 2001 AR seems erroneous, adding up the annual sales up until then results in 8.94M. I'd like to see if the same figure was reported in the Japanese version, but that doesn't seem to have been archived. *This is a series of dedicated home consoles, therefore, Nintendos first home consoles. 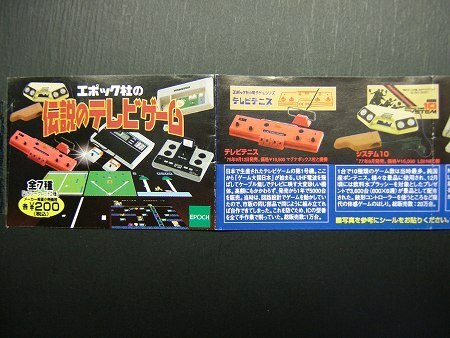 Yamauchi got the Magnavox Odyssey licence back then to produce this in Japan. Edit: Virtual Boy is commonly said to have sold 770.000 units, but Aquamarine once clarified that this number is probably wrong. Many of us gaffers have been on a search for the original NPD data for the 16 and 8-bit eras. And we've learned a lot about it. There are publishers that have old databases of said data but the NPD requested (probably years ago) to not release it to anyone. The data was less reliable then and could taint the NPD's reputation, they fear. 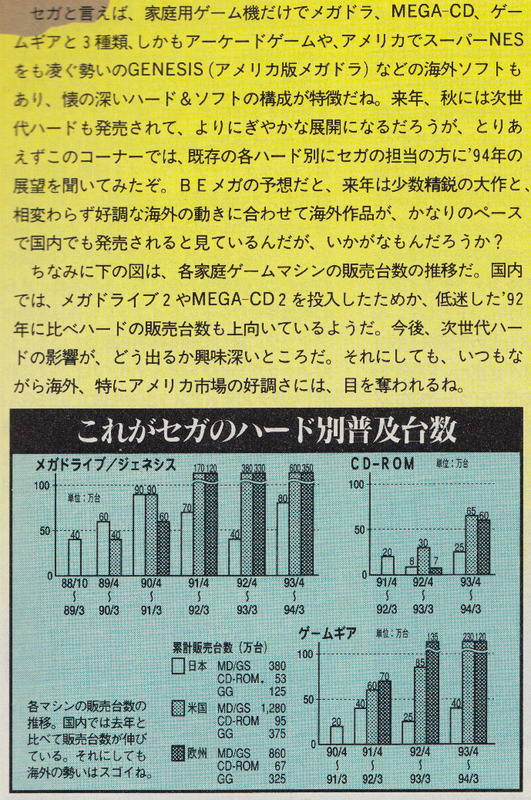 In those days the data represented some 65% of the market and it was up to the console makers to extrapolate the remaining 35%. When NPD did sometimes it was less accurate. Nintendo/Sega, Sony had their various formulas. There should not be an issue with that raw data being shared with the public today I would think... Also considering this was over twenty years ago now. 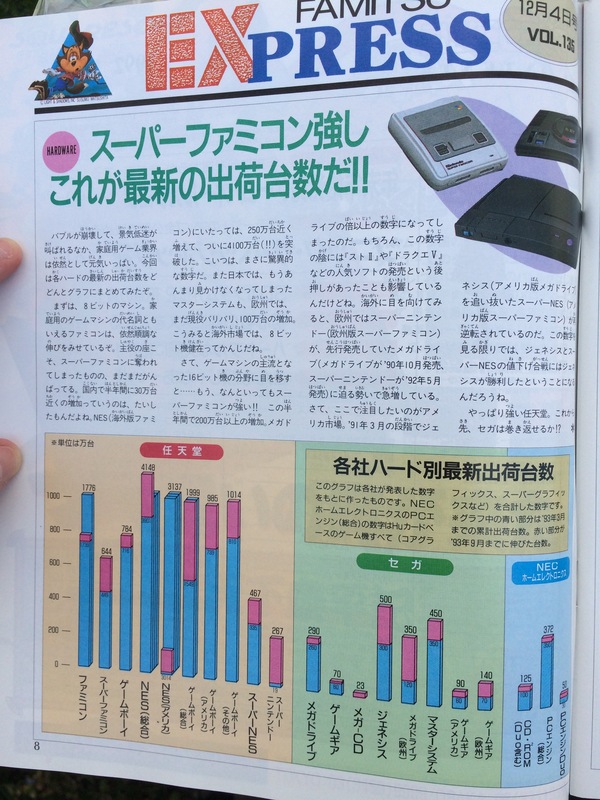 The claim of 9.9 million Dreamcasts sold is interesting, because I've heard the claim that Sega said that they only produced 9.13 million Dreamcasts (Sega CESA report)... I think that's the number? Close to that, anyway. On the other hand, other sites claim 10.45-10.6 million Dreamcasts sold. What's right? Do we actually have the information to know? That same CESA report, I think, says 9.26 million Saturns, which is a quite plausible number close to the "9.5 million" the old estimates said. I see you link that other argument on DC sales, but all this does is just restate the two positions, not say which one is right; they clearly conflict. I'd ask a mod before posting, but that data would be 12 years old at this point. I don't really see much value for the NPD to want to protect. 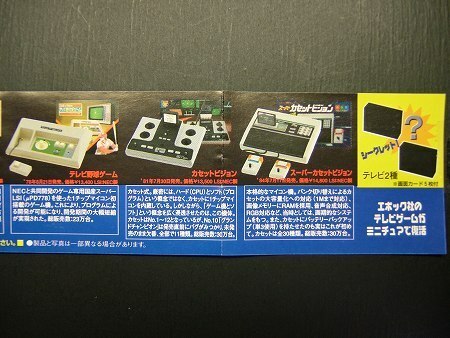 Epoch launched Japan's first console in 1975 (TV Tennis), and saw success with several of these dedicated systems in the late 70s before launching their first true console in 1981; the "Cassette Vision". In 1984 they launched it's successor the "Super Cassette Vision" to compete with Nintendo's Famicom and Sega's SG-1000. 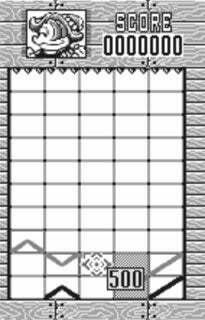 That same year they launched Japan's first handheld, the "Game Pocket Computer". In 1985 they released the World's first battery backed-up game; "Pop & Chips" for the SCV. 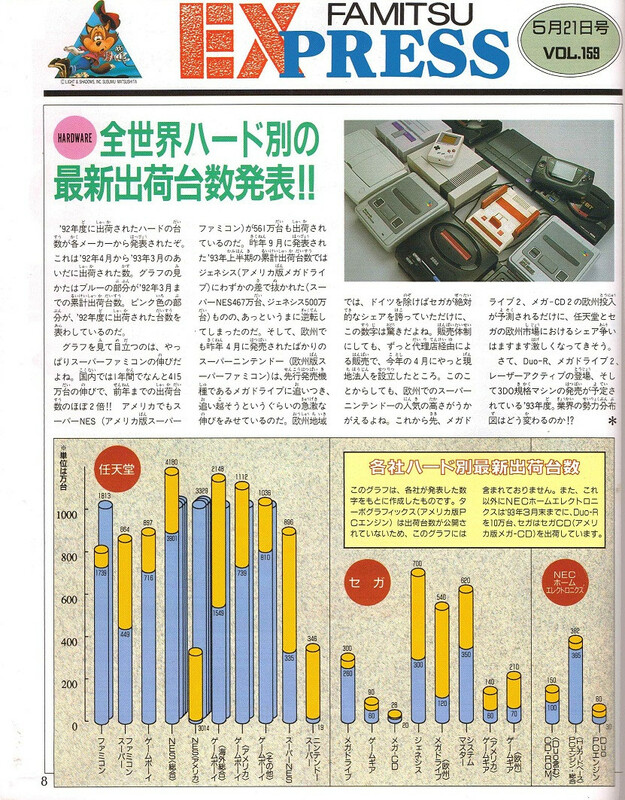 Unfortunately they could never compete with the Famicom, and in 1986 stopped supporting the SCV. They continued to release LCD games, and in 1991 released the "Barcode Battler". These numbers originally came from a range of mini replica models of some of their systems that they released in 2005. Game Pocket Computer wasn't included, so I guess it didn't sell much (only five games were ever released for it). Incidentally, Super Cassette Vision was also released in France in 1985. I have a couple of these, and have seen quite a few serial numbers from others. The highest I have ever seen was 17,800, so probably around 20,000 or so were also sold in France. Just a guess but what if that wasn't an error. Couldn't it be that Sega reported the units shipped out that year divided by regions but when gave the LTD considered the units shipped out during the FY minus the stocks sent back to Sega by retailers after the system was discontinued? I don't think Sega have ever given a figure of 9.13 million. In their 2000 annual report they gave a LTD of 5.55 million. 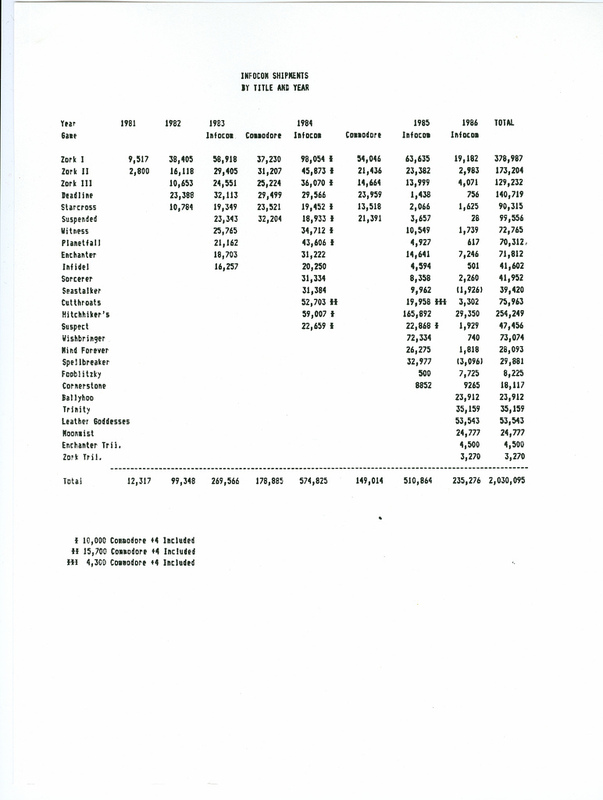 In their 2001 annual report they gave a figure of 3.39 million for the year and a LTD of 8.2 million (which contradicts every other figure they had previously given). In later reports they only give YTD shipments and not LTD shipments. The 9.13 million is arrived at by adding those YTD shipments to the 8.2 million figure. I guess the CESA report you mention is this one that Celine linked to in the other thread. That gives numerous sources for those figures (some of which aren't up to date) including "company press releases". So I guess that brings us back to whether or not the 8.2 million figure was an error or not. I posted this as I recently came across additional data (remaining inventory from December 31 2000) which I hadn't seen posted before. The issue is that they reported 2.32 million shipped in the nine months ending December 31 2000, along with remaining inventory of 2.03 million. I clarify that what I posted isn't the CESA White Paper which is a paid report but another report that cites the CESA White Paper as the source for every systems except Atari 2600. I can confirm the figure for NES, SNES, MD, SAT, N64, DC are indeed in the CESA White Paper however the PS1 figure in the white paper is 102.49M (as it should). Hmm, okay, so the issue is about Sega's weird statements in their 2001 report. Hard to know what's going on there... and that's a huge difference, 740,000 systems matters a lot with only 9-10 million total! On another note, it's important to note that that 3.77 million Atari 7800 sales figure is for North American sales only. European sales are unknown, but may at best have been as good as US sales were (it's not clear). Yeah, that's what I was talking about. From what you described, it does seem likely that the 9.13 number was the result of 8.2+later sales... and it could be right, but the question you've raised about the accuracy of the 8.2 number is a good one. I found the Japanese version, it also states 8.20 million total. That's me done for the night. I believe it was Aquamarine who told a story about professors who had access to I think NPD reports from the 80's who are still terrified of releasing said information due to NPD's propensity to strike back for such things even after all that time. It seems that it was the previous year that was erroneous. Yeah I doubt the forum's administration would be okay with me releasing the whole spreadsheet (it's actually a txt file tho). If a mod gave the okay I would, though. I sure hope you get permission. I'd be so interested to see these. Great thread idea. It'll be nice to have some concrete, correct information to refer to that is all in one place. You're a walking encyclopedia when it comes to video game industry sales. I see what Sega did here now. Quoting Aquamarine from this thread. However, there is one caveat that needs mentioning. Nintendo informed me that there are two types of accounting when it comes to historical recording of their sales: consolidated, and non-consolidated. "Non-consolidated" sales recording refers to the recording of shipments from Nintendo Co. Ltd.'s domestic inventory in Kyoto, Japan to the inventories of their wholly-owned subsidiaries around the world. For the year ending 2000 03 Sega used "Non-consolidated" sales for their shipments to their subsidiaries and distributors outside of Japan/Asia. This enabled them to be able to report more impressive figures than if they had used "Consolidated" sales. However, it created an issue in the next financial year as there was still lots of inventory left over in NA (400k) and EU (340k) from the previous FY. Six months (thanks Celine) into the next financial year SoE still had 110k of inventory from the previous FY, and SoA had shipped just 200k more. Sega then switched to consolidated sales so that they could report shipments from their subsidiaries and distributors to retailers. So there's still the minor issue of a 30k discrepancy between inventory and forecast sales along with the Nikkei report. Bigben Interactive (Lesquin, France), independent manufacturer and distributor of video games console accessories, has signed an agreement with Sega (Japan) to become the exclusive distributor of Dreamcast consoles, software and accessories in Europe. Europe already has an installed Dreamcast base of 1.2 mil units, with Sega set to launch over 100 new games for the console shortly. The contract will generate revenue of around FFr330 mil for Bigben in the FY to 31 March 2002, from total sales of FFr1.18 bil, up from FFr706.1 mil in the year-earlier period. This really shows just how much worse Dreamcast was doing than official figures suggested. For the FY ending 2001 03 they had shipped just 160k more units to retailers in Europe than the 1.04m the shipped to Europe in the launch FY. This means that Bigben would have taken on about 430k units of inventory for the European region. They discontinued Most of their legacy hardware then, but not Mega Drive. Sega has trimmed its hardware portfolio with the discontinuation of the Master System, Mega CD, 32X and the Game Gear systems, to offer only the 16-bit Mega Drive, Saturn and the Pico early learning toy. It's interesting to note that whilst SoE was done with the SMS by then there were still a few minor European distributors supporting the SMS who were then supplied by Brazil's Tectoy who were still manufacturing SMS. Tectoy manufactured 50Hz hardware along with software was officially sold in both Portugal and Greece for the 1996 holiday season. Samsung who also manufactured SMS was still supporting it in South Korea too, but it seems that 1996 was the last year of official support there. This is where it gets difficult to get total Sega console hardware shipments, they were pretty liberal with licensing it out to other hardware manufacturers. Anyway, here's some South Korean shipments. Samsung was Sega's distributor and manufactured the hardware themselves, Hyundai were Nintendo's partner, whilst Daewoo manufactured a range of popular MSX based consoles under the Zemmix brand. 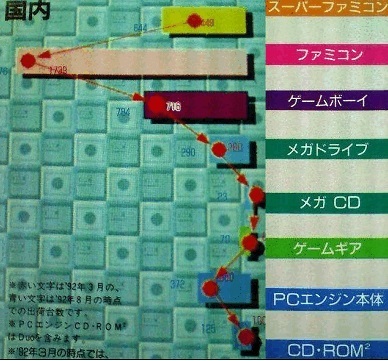 Original source; An early 1994 issue of Korean magazine Game World. For the year ending 2000 03 Sega used "Non-consolidated" sales for their shipments to their subsidiaries and distributors outside of Japan/Asia. This enabled them to be able to report more impressive figures than if they had used "Consolidated" sales. However, it created an issue in the next financial year as there was still lots of inventory left over in NA (400k) and EU (340k) from the previous FY. Six months (thanks Celine) into the next financial year	SoE still had 110k of inventory from the previous FY, and SoA had shipped just 200k more. Sega then switched to consolidated sales so that they could report shipments from their subsidiaries and distributors to retailers. I was thinking to that Aquamarine post too yesterday. The biggest problem with that 30.75 million Genesis number is that it would not include the about 2 million Genesises Majesco sold in 1998 in the US, or the 2-3 million Megadrives sold by TecToy in Brazil. Any TecToy Megadrives which have cartridge ports certainly should count! And I don't know if it includes the Sega Nomad, either, though I don't think there are any accurate estimates to how much the Nomad actually sold (I don't believe the "1 million" number that is out there, that sounds MUCH too high). And if it really is just sales as of early 1996, it wouldn't include US Genesis systems from 1996 and 1997 either; Sega of America waws supporting the system, after all, even if Sega of Japan wasn't; the last new Genesis games from Sega of America released by fall '97 (three sports games and The Lost World: Jurassic Park). Sales were slower than previous years, and well below what the SNES sold in those years, but it WAS still selling something. I think that the "40 million" number some say the Genesis sold (see Wikipedia for example) is too high, but 30.75 million is too low. Great detective work here! This has to be what happened. But yeah, why the discrepancies in total? I mean, in the lower "actual sales" chart, Japanese sales are 80,000 below what the shipment chart above claims were produced; US sales are 10,000 above; European sales are 90,000 above; and Asia sales are 10,000 above. This adds up to that 30,000 overall difference you mention, but it's more than 30,000 because you're adding 90,000 and subtracting 80,000 -- significant numbers there. Still though, great work. It gets us much closer to an accurate DC sales total. As I said before I regard 9.13M as the definitive LTD for DC since it's the more "up to date" number Sega provided and I doubt Sega itself would do mistakes when reporting their own shipments or inventory (there could be some discrepancies like when citing "consolidated" shipments instead of "non consolidated" and viceversa but unlikely errors). If we had a Sega total shipment for their older systems then that would be a good starting point (of course then there would be the issue for the shipments from other licensees). Unfortunately outside of CESA White Paper I haven't seen any source giving MD late total shipment directly from Sega (there is also *that* Famitsu article though it reported LTD until FY93) . 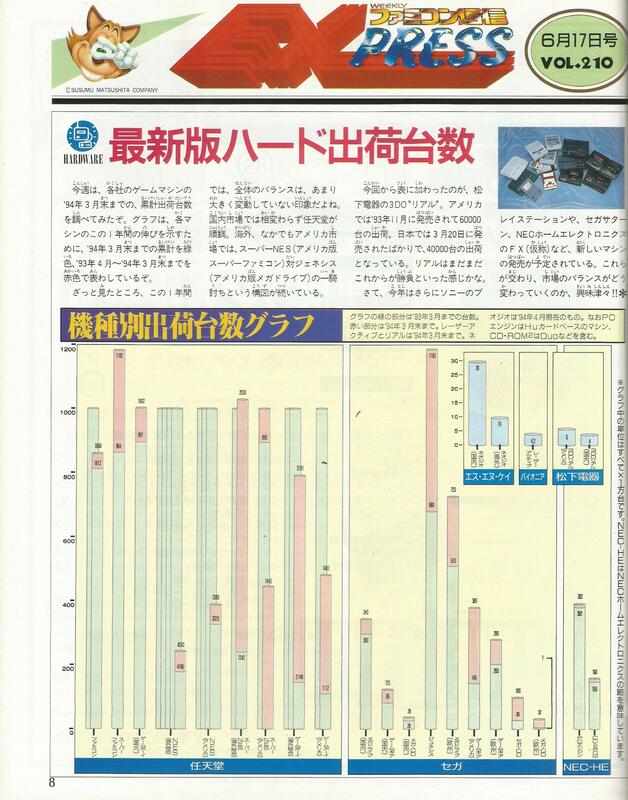 Even the brief "reports" for FY 96 and FY97 on the old japanese Sega IR site seems to not talk about the MD. Now that I think about it, probably in some Famitsu issues there are Sega total shipment numbers for the later years during the 16 bit generation. Here's also something I've found. If anyone here knows the company Infocom (I didn't, therefore, here's the Wikipedia link: http://en.wikipedia.org/wiki/Infocom), they produced some of the earliest interactive fiction games like Zork (and Activision aquired them at some point). It blows my mind that there still aren't reliable numbers for the Genesis/MD. 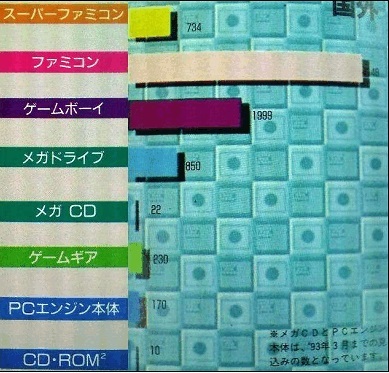 Since we're talking sales accuracy, how accurate are the Sonic Genesis/Mega Drive numbers? 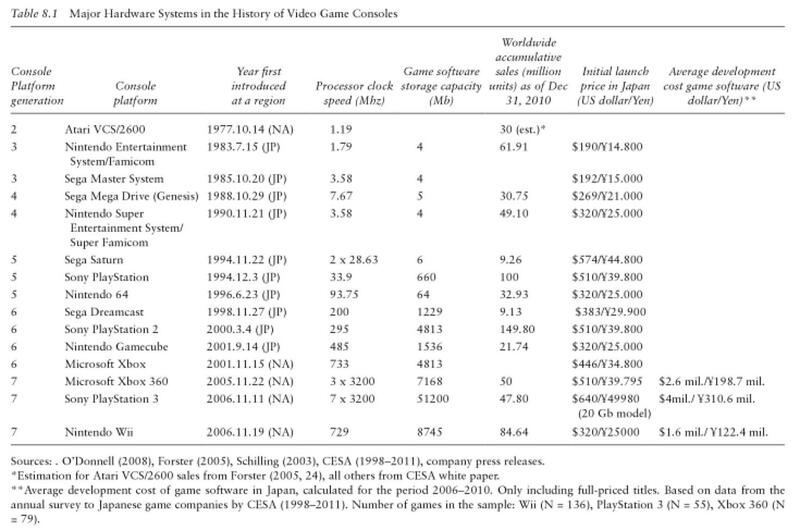 According to Wikipedia the first game sold over 15 million on Genesis alone. That sounds way too much given what I see in this thread about Genesis sales being ~30m. 30m figure doesn't include late US sales (96-97) or any sales from Majesco or Tectoy. Also, take any Genesis software sales info with a big grain of salt. 15m for Sonic 1 sounds too high if Sonic 2 sold 6m. 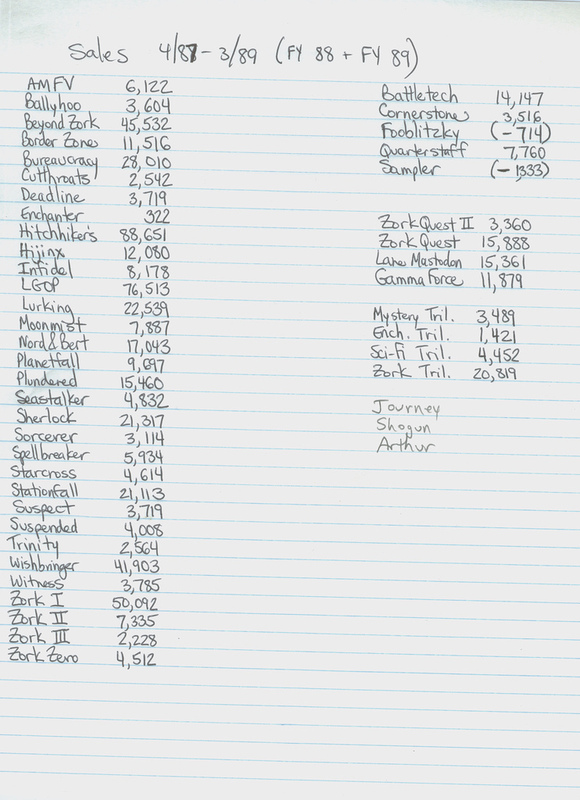 I mean, I could believe that Sonic 1 outsold 2, but not by that much. Very interesting data. I have the Dreamcast one, but I've never seen PS1 and N64. The point is there isn't any problem of accuracy when talking about shipment data (because the publisher/manufacturer accounting department know exactly how many units are shipped out). 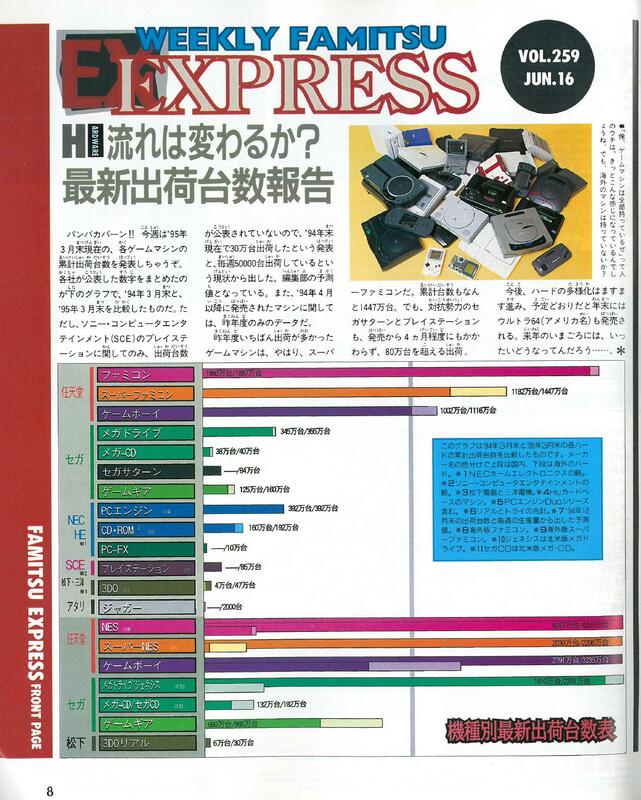 The problem is that Sega, contrary to Nintendo for which there is an extensive array of shipment data available, never shared (at least not in the last 15 years) much shipment data for their older system HW/SW. So really the point is the quality of the source (if it's Sega shipment data then you are set). 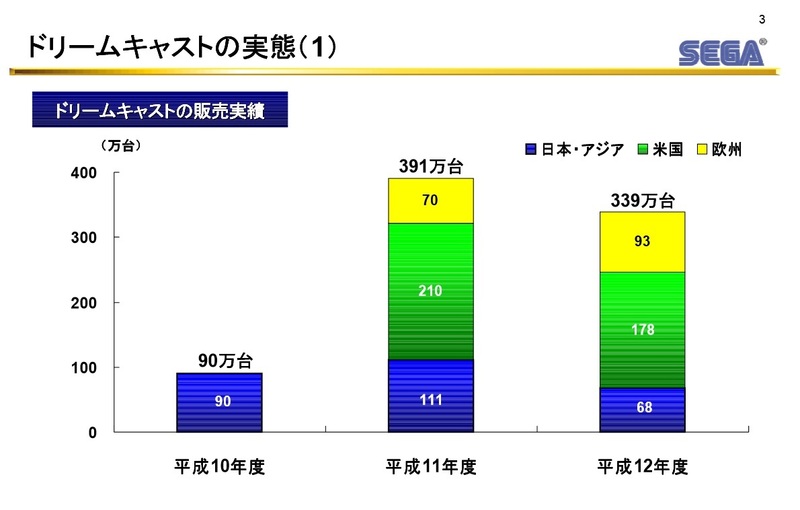 There are reliable numbers for MD, for that I mean there is Sega official shipment data. 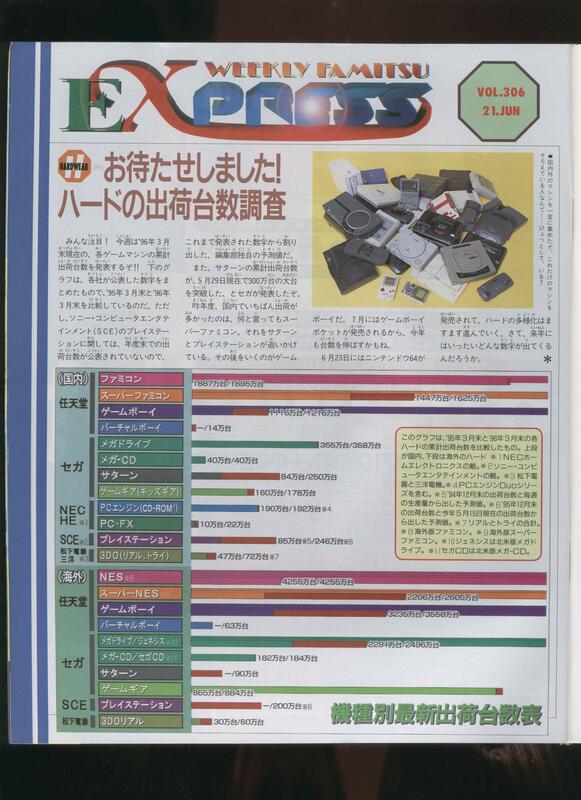 1) One (known Famitsu article) refers LTD until FY93 which is slightly after mid generation. 2) The final LTD reported in CESA White Paper is unclear until what FY was taken. I'm confused a bit; did the Dreamcast ship near 10 mil. units or did it SELL 10 mil. units? 9.13m is the final shipment and at this point is also the final sold number.